Renovated back to life, this transitional cottage has an open floor plan, delightful design details and is filled with sophisticated colors and finishes. 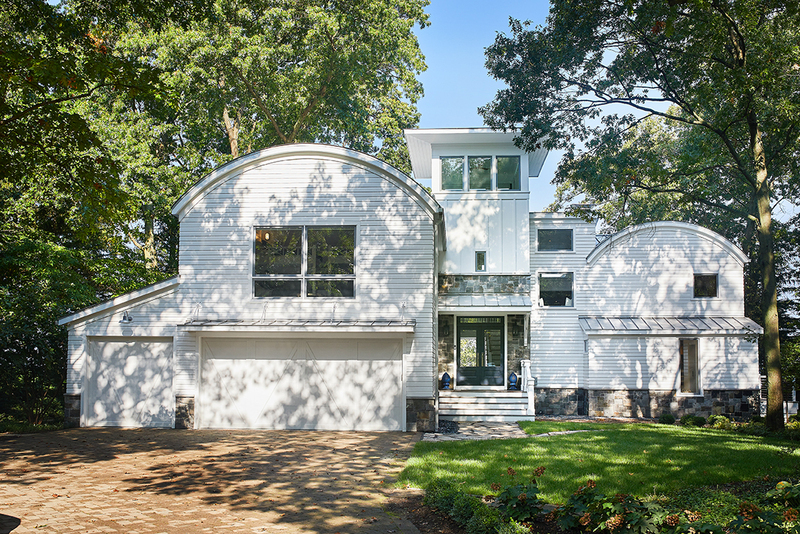 A large addition and reallocation of interior spaces transformed this home into a five bedroom, three and half bathroom retreat. Barrel rooflines define the exterior space with a contemporary look, while the board and batten siding and stone details add a traditional flare. 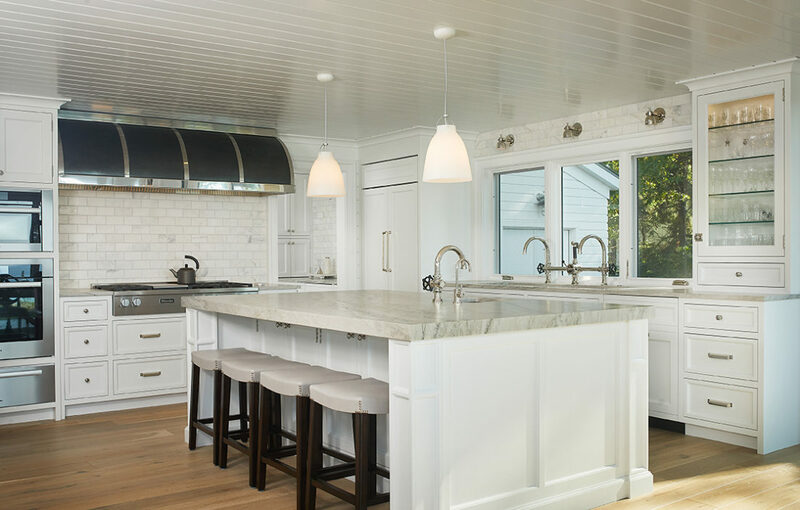 The main floor boasts a gourmet kitchen with a decorative metal range hood and expansive island prep space. The adjacent dining room maximizes waterfront views with two large sets of sliding glass doors that lead to the exterior deck space. 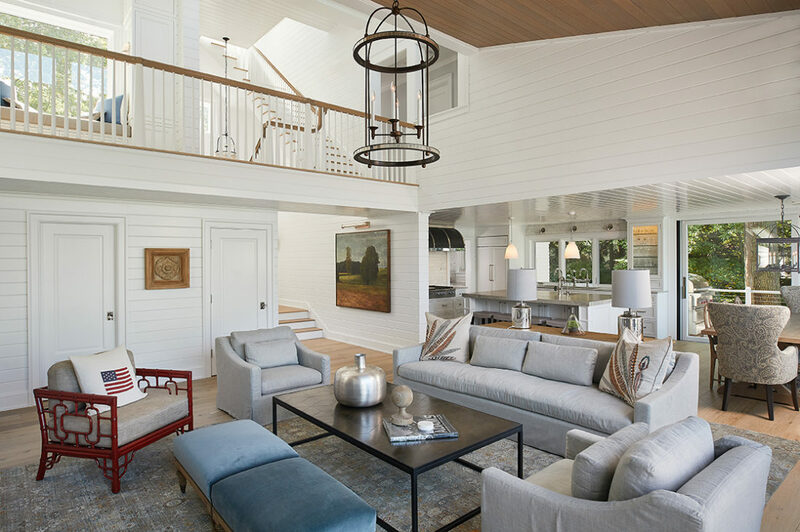 The cathedral ceiling and transom windows of the living room create an open space that is grounded by the cozy feel of the shiplap walls, stone fireplace and stained wood ceiling details. A den with triple pocket doors give the added flexibility of opening the space up to the sun porch, where pristine lake views abound. A mud, powder room and a lake changing room complete the main level. The upper level of the home is accessible by a grand staircase at the center of the home, with custom-turned newel posts. Upstairs, visitors arrive at a sitting room with built-in reading nook overlooking the living room below. The master suite wing includes stunning details like a barrel vaulted ceiling, a wardrobe with built-in storage and seating as well as a master bathroom with a metal-skirted soaking tub and custom-built double vanity, surrounded by marble tile. The bunk room and three additional bedrooms add sleeping space for 10. 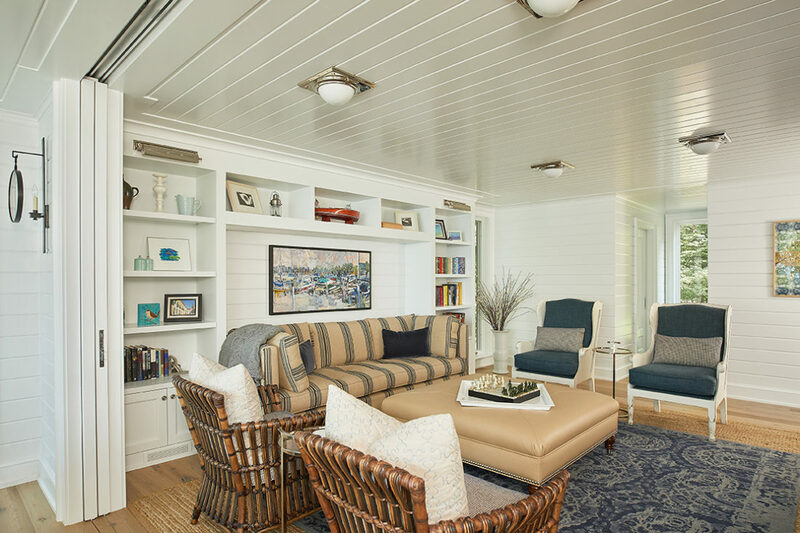 An attic level sitting room offers 180 degree views of the lake and access to a roof deck by tri-folding exterior doors. 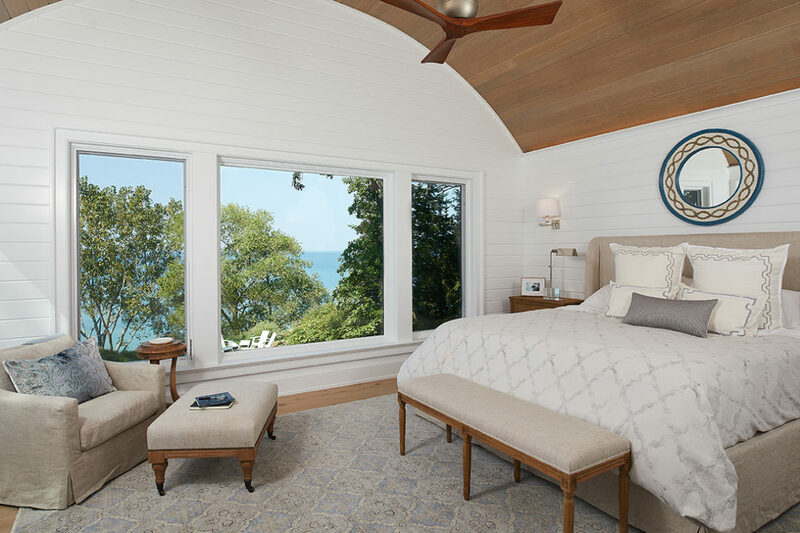 The multi-level exterior deck on the waterfront side of the home, complete with built-in spa, gives a multitude of vantage points from which to enjoy the magnificent views of Lake Michigan beyond.